In addition to Lingoes, GoldenDict is another free tool for dictionaries and thesauruses. The tools are very similar. For example, GoldenDict can be used both online and offline dictionaries. The difference is that one can use GoldenDict to open your own dictionaries in *.bgl format or in *.dsl format. Lingoes does not have any good support for importing your own dictionaries. There is no “easy and straightforward” way to create your own dictionaries by using these free tools. 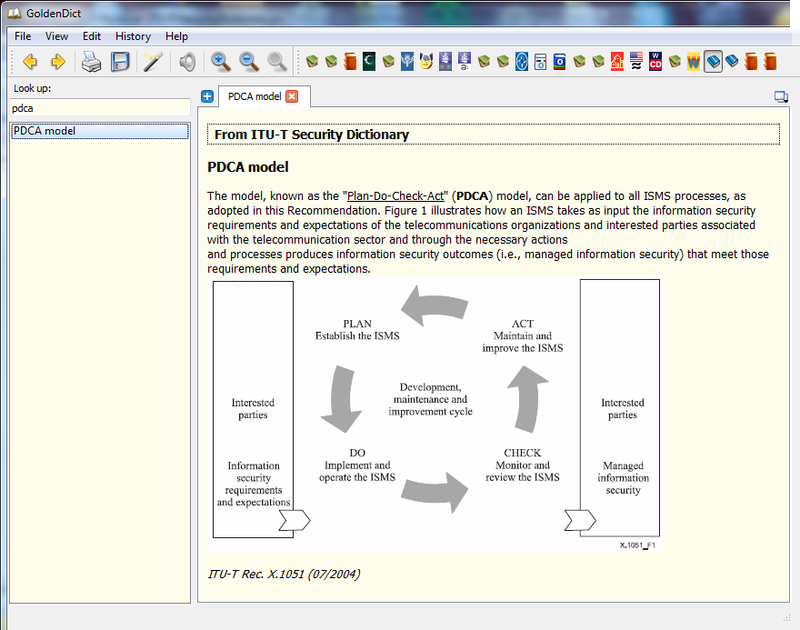 While using free method, it is possible to create glossaries etc. 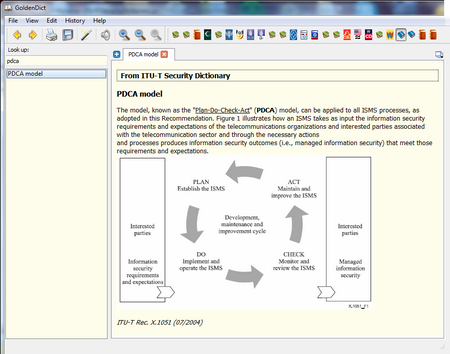 but for more serious thesaurus with better look and feel, commercial tools are better choise. 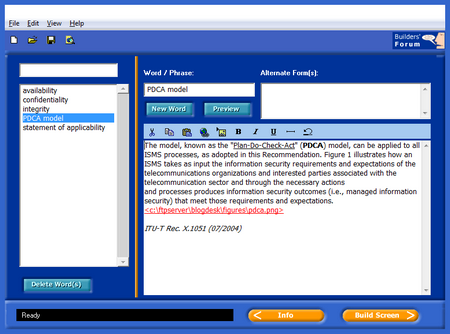 BGL format is used by a commercial Babylon tool. 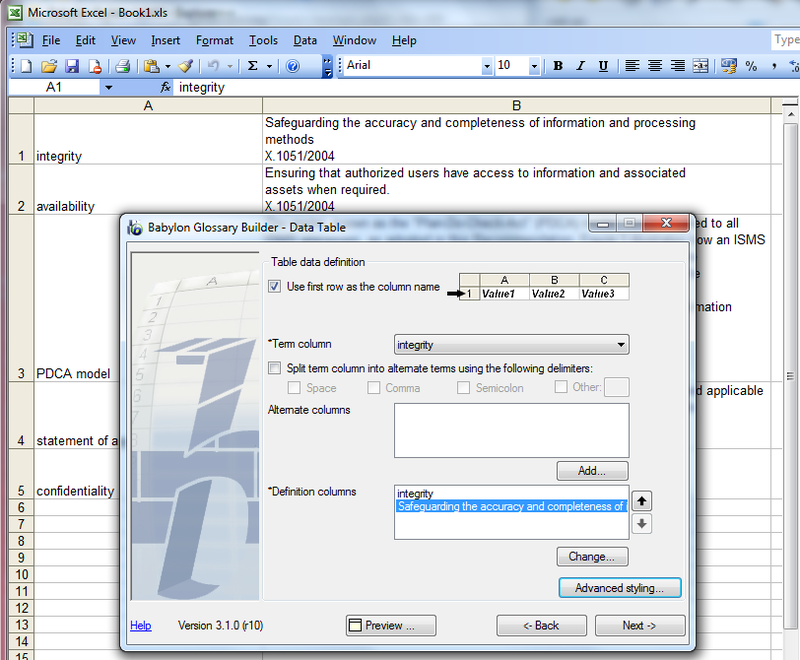 Babylon Builder is free tool for creating dictionary (licenced for private user only). The support is mainly for excel files, as explained here. 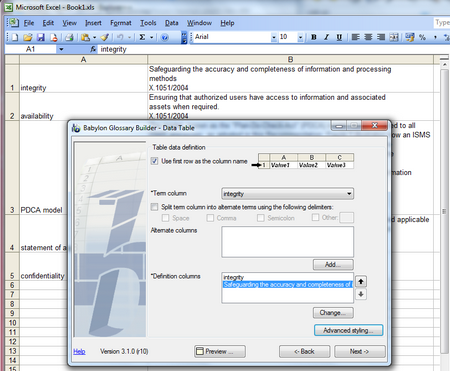 The figure below shows an excel containing definitions, and Builder GUI for processing the excel columns. However, I found this way very limited. This could be usefull method if you have definitions in column format, and you are not aiming to include figures. Luckily, an old tool Babylon Builder 1.0.63 is presented in GoldenDict’s Forum pages (including download link). This tool provides simple GUI for creating dictionary without “programming” (see figure below). It supports very limited html; links and figures. The output of this is visible in the first figure (above). GLS file format is an alternative, where the raw data is in simple text format. GLS file needs to be converted into binary BGL format so that GoldenDict can read it. Convertion can be done with new or old version of the Babylon Builder tool (see above). The format of the file is described in babylon page. ### Description:Security related terms and definitions used in ITU-T recommendations. GoldenDict can read *.dsl files (used by ABBYY Lingvo tool), this could be used as an alternative format. In fact, this is easier format to maintain since GoldenDict can read this text format directly. Tips on how to create dsl files are available in GoldenDict forum pages (more). A sample dsl file (plain text) is available here. There also exist a perl script TXT2DSL (direct link) to quickly convert simple data format file into dsl format. The tool expect each line to be in following format (tabulator is used to separate fields). The following example shows how dsl file looks like. ([p]pl. [/p] [c darkcyan][b]abaÂÂ·cuses[/b][/c] / [s]abacusesBR.wav[/s] -k?s?z; [p]NAmE[/p] [s]abacusesUS.wav[/s] /) a frame with small balls which slide along wires. It is used as a tool or toy for counting. ABBYY Lingvo is one alternative, which also supports custom dictionaries. Please note, that there exist GoldenDict Free application for android. This entry was posted in Anvanced Tools, Recommended Free Tools. Bookmark the permalink. I’ve been using the “DSL format as alternative” and it works fine, even for Tibetan. I would like to ask you if you have found a more straighforward solution since then (that would include all headers etc).